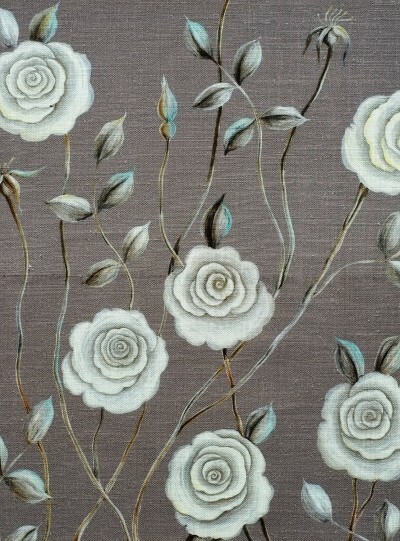 Serene Rose Fabric on Light Grey background. Fabric Panel. 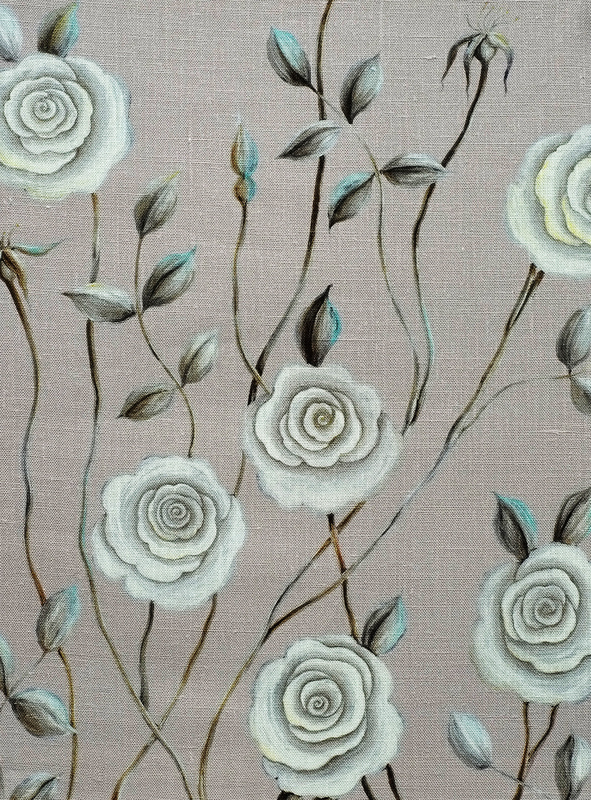 Serene Rose Fabric depicts a free flowing motif of intertwined roses in it’s original version- Serene (depicting original artwork by Svetlana Shellshear in mixed media). Serene Rose fabric has non- repeat fabric design. Size of fabric panel; Height: 110 cm, Width: 138 cm. 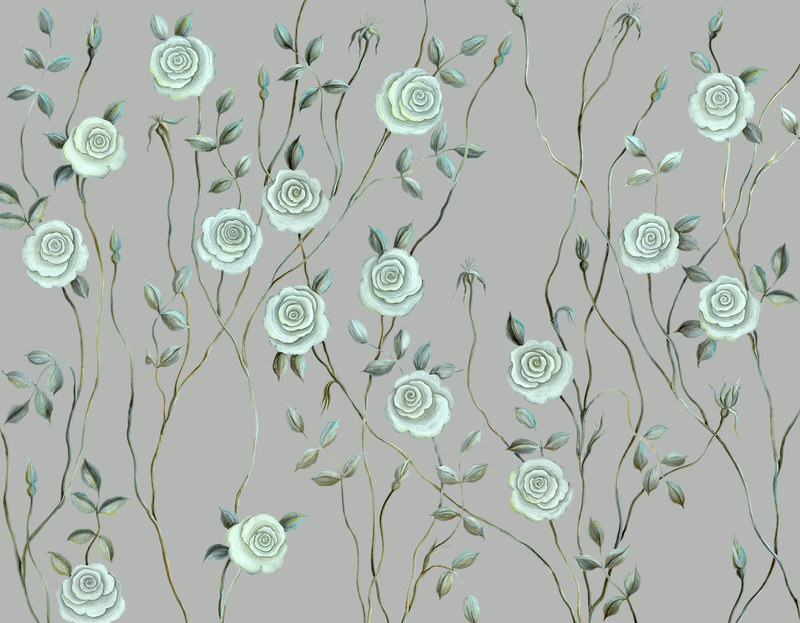 Serene Rose on Light Grey background. Fragment shown 46 cm by 62 cm. 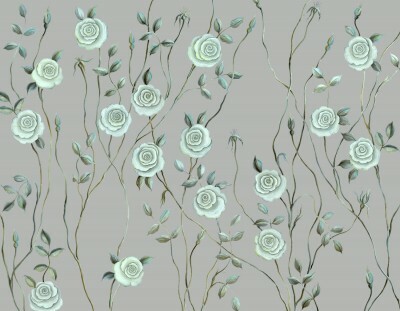 Serene Rose on Stone background. Fragment shown 46 cm by 62 cm. 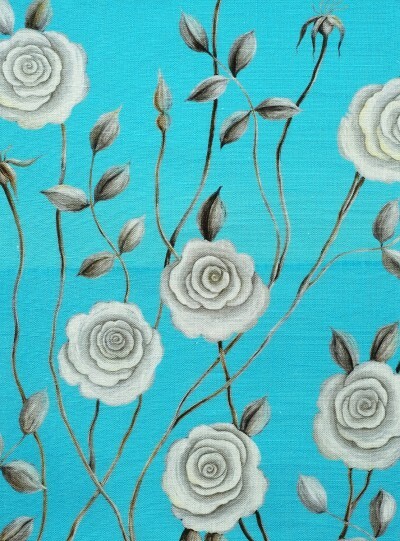 Serene Rose on Blue background. Fragment shown 46 cm by 62 cm. Serene Rose on Dark Grey background. Fragment shown 46 cm by 62 cm. 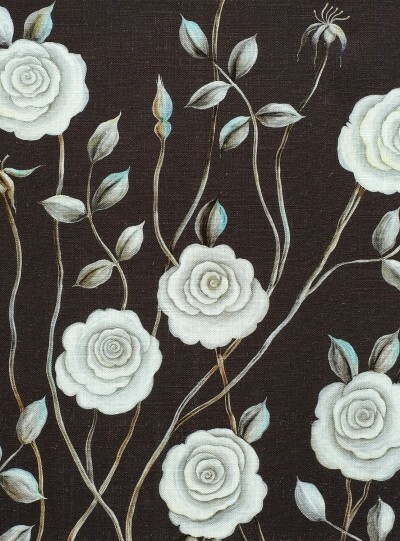 Serene Rose on Dark Chocolate background. Fragment shown 46 cm by 62 cm. 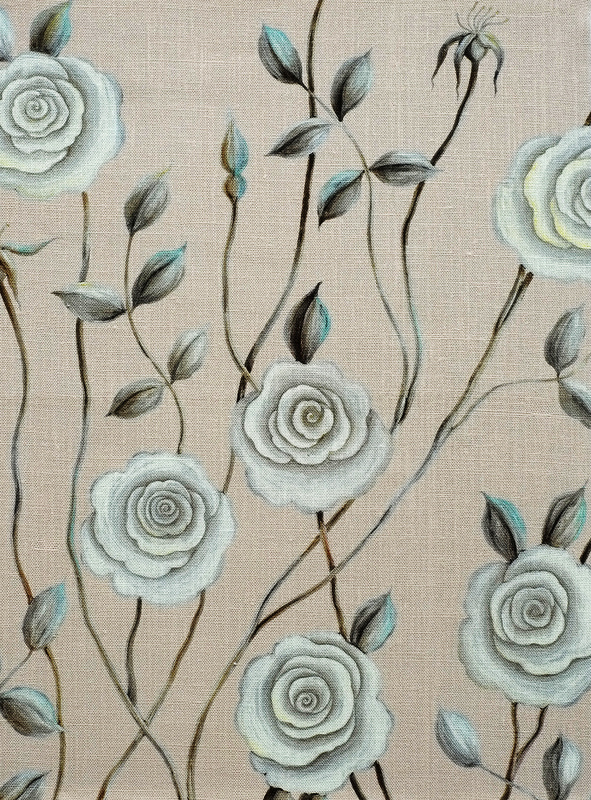 ← The English Rose fabric: Dreamy Rose.